With the tech industry advancing by bounds, the home of the future is here now! Companies are quickly introducing a range of devices that can make life for you simple, and help you to be a bit more eco-friendly. 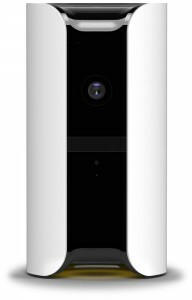 The Canary is a great home security option! Designed to simplify the connection to your home. Affordable and Intuitive the Canary has sensors, an HD Camera, microphone, heat sensors, night vision, motion detection, and more. You just plug it in. The Canary not only detects intruders, it also detects hazards like fire, water leaks, and carbon monoxide, making it one of the best home security systems on the market. When the machine senses something out of the ordinary happening while you’re out of the house, it will send you an alert with video footage and options for responding.